AKIPRESS.COM - The foreign ministers of China and Japan agreed to work closely to push North Korea to abandon its nuclear program, in the latest sign of improved cooperation between Asia’s two largest economies, Bloomberg reported. 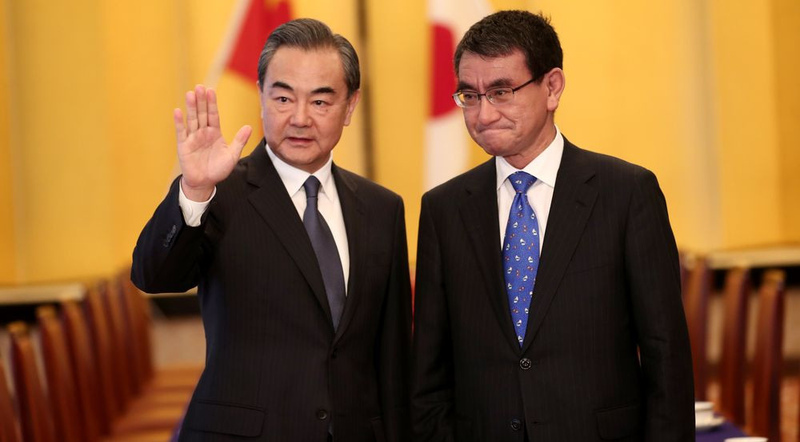 “To get North Korea to abandon its nuclear weapons and missiles in a complete, irreversible and verifiable way, we agreed we must enforce the relevant Security Council resolutions and work closely together,” Japanese Foreign Minister Taro Kono told reporters Sunday in Tokyo after a meeting with Chinese counterpart Wang Yi. Wang’s trip -- the first of its kind in more than than eight years -- comes ahead of a summit between the two Koreas and a potential meeting between U.S. President Donald Trump and Kim Jong Un. China and Japan are trying to repair relations amid policy whiplash from the U.S. over trade and security.